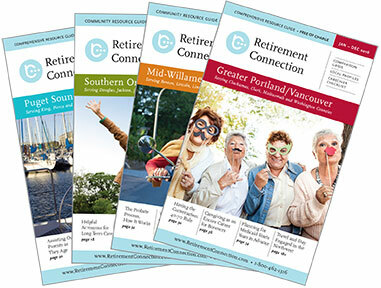 Currently, the Puget Sound edition of Retirement Connection prints twice a year in September and again in March - that is about to change. Normally, we reserve ad space for a full year, but not this time. WHY… Once our guide reaches a certain point and we feel we have captured all the correct information for the community, we typically change the printing and become an annual publication. With our Oregon guides this took several years, but our Retirement Connection Guide of Puget Sound has grown tremendously over the past year, is already full of content, and a strong comprehensive resource. This means that September will be the last semi-annual edition and, in April, we will move to an annual publication. Thank you for making us an integral part of your community resources.